Alberto Puig says that the Japanese technicians have not yet found the reason that forced the Balearic Islands to leave the GP of the Americas. 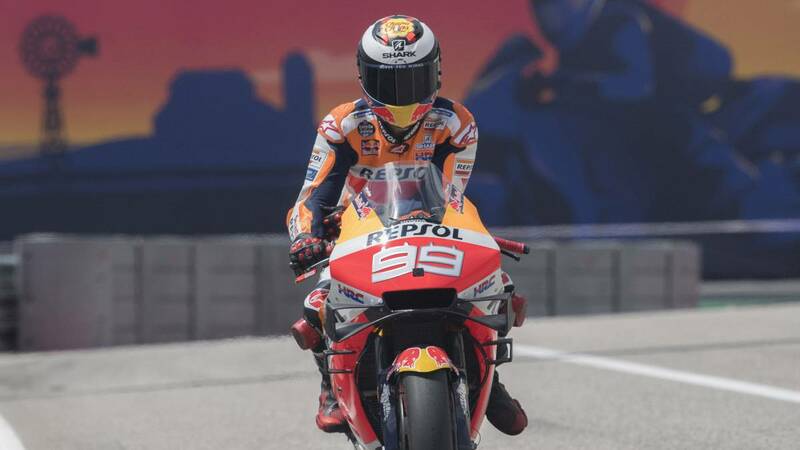 Surely it was not the 2019 Grand Prix of the Americas dreamed by Honda. The falls of Marc Márquez and Cal Crutchlow and the abandonment of Jorge Lorenzo caused the Japanese firm to sign the worst result since 37 years ago, when they did not compete in the Grand Prix of France as a measure of protest for the poor condition of the Nogaro asphalt. Precisely, finding out the exact cause that forced Lorenzo to resign on lap 11 when he was placed in the tenth position is the main occupation of the Honda technicians, since Márquez and Crutchlow suffered some electronic problems during the test in the first speed corners: "At this moment we do not know what happened to Jorge Lorenzo's bike, we are investigating it and we need more time to know what problem there was. The objective of Jorge was finishing in the top ten, but in the first two laps it was not super fast, once he stabilized, he kept his pace well and was improving in the classification, but then had the problem that we still have to clarify, "says Alberto Puig. Puig tries to take the positive side of the race to the south of the United States in an interview for 'Repsol Media' affirming that Marc Márquez was not injured and will be able to show that the team is ready for the good and bad moments at the 2019 Spanish Grand Prix: "The balance is clear and it is not good because we did not get any points, but on the other hand, Marc was two steps ahead on the track and that gives us the determination to continue working with motivation to the fullest and with high hopes. The positive is that Marc did not get hurt. He is stronger than ever and has shown in the last two races. The negative is obviously that we do not get points. After a bad day there always comes a good day, so the team has to be prepared for the good and bad times. "